GVHBA is affiliated with the Canadian Home Builders’ Association at both the provincial and national levels. Established in 1974, it is the largest of the 10 local associations in British Columbia with more than 700 members, six full-time and one part-time staff. A Board of Directors, elected annually by the general membership, governs GVHBA. 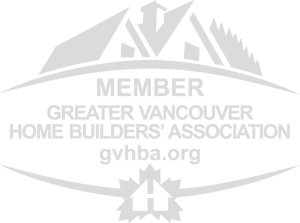 The new RenoMark symbol identifies those renovation contractors who have agreed to the Greater Vancouver Home Builders’ Association (GVHBA) Code of Ethics as well as a renovation-specific Code of Conduct. RenoMark renovators are professional contractors who provide warranties, who understand the value of customer service during and following projects, and who have access to information on current trends, the latest materials and new regulations.lly by the general membership, governs GVHBA.